- Establishing the fact that despite all the attempts of intercultural and intercivilizational dialogue, danger of the conflict of civilizations remains sufficiently urgent. - We appeal to analyze the achievements and possibilities of multiculturalism as a part of governmental policy of different countries, to ensure a free choice between cultural and ethnic identity, to defend the direct rights and freedom of a human being, resolutely condemn all manifestations of racism, intolerance. - Express the hope that new technologies will contribute to settle the problems of energy security, healthy food and welfare of the people on the Earth. We appeal to mobilize all efforts to ensure duly development of education in all countries, particularly focusing on the development of high education, the integration of science and education. - Admitting the extraordinary attractiveness of the notion of convergence of sciences and its significance in the formation of new civilization. - Mentioning that dramatical development of new tendencies in social journalism being the result of globalization, requires qualified scientific analysis. - Call upon UN, UNESCO and other international structures alongside the states-members of these structures:To create realistic frames for intercultural, interconfessional and intercivilizational dialogues as the conditions of preserving and further positive development of mankind, exposing for all this first and foremost the common character upon keeping the diversity of cultures and systems of values. Express our conviction in the necessity of holding out forums of such kind regularly and deeply appreciate all organizers of Baku International Humanitarian Forum, the President and the Government of Azerbaijan for support and hospitality rendered. - Consider it necessary to approve the present declaration and utilize it with the purpose of contribution to the aims of humanitarian cooperation. “Traditional value systems in postmodern culture”. Ladies and gentlemen, dear colleagues and friends. Let me, first of all, thank you, dear Ilham Aliyev and your colleagues for the excellent organization of this forum and true hospitality. “Dear friends, I cordially welcome participants and guests of the Baky International Humanitarian Forum. Initiated by the two countries` public, it attracted the people of science and culture from a large number of countries and will be held under the patronage of the Presidents of Russia and Azerbaijan. The humanitarian cooperation plays a huge, stabilizing role in the modern world. It contributes to stable development, positively influences relations among countries and penetrates almost into all spheres of human activity: from economy, science, culture to legal policy and the issues of ensuring security. Scientific discoveries of the last decades have seriously changed an idea of the world, human being and correlation of natural-scientific and humanitarian knowledge. The Baky forum will feature discussions on philosophic issues of development of science, humanitarian aspects of existing economic models in the world, problems of ethics in modern biotechnologies and many other topical problems. The humanitarian cooperation is rightly called a “soft power”, because it helps to overcome barriers in the dialogue of civilizations by joining the countries and nations on the basis of values of justice and tolerance, solidarity and mutual respect. All this opens ample opportunities for the people`s diplomacy and realization of joint programs in the fields of science, education, health and art, the fields which are more sensitive and closer to people`s moral demands. Over the last few years there has been a growing need in increasing the role of humanitarian aspect in international relations. New inter-governmental mechanisms are emerging as a result of effective cooperation of creative elites. And, of course, a special role is played by public initiatives and movements, which make an important contribution to forming a new humanitarian space. I am sure the Baku forum will take a worthy place among them. I wish the forum participants fruitful work and all the best. Dmitry Medvedev, President of the Russian Federation”. Dear forum participants! Life demonstrates that the importance of humanitarian aspects in modern policy is increasing from year to year and requires deep, scientific and philosophic comprehension. It is impossible to deal with the issues of economic evolution and develop advanced technologies in the fields of biomedicine, energy and ICT without having a clear picture of how this affects mankind`s system of values and even its existence, how much it will change the way of life, influence on its social, spiritual and religious needs. It`s no coincidence that over the last decades the world community has paid a special attention to development of education and culture and considered them not only as important factors of individual upbringing, ensuring human rights and freedoms but also as a powerful factor of steady development of a state. All this obliges us to approach to development of humanitarian strategies with responsibility and take into account their economic and social components. The same topics have recently been discussed at a forum in Ulyanovsk, which focused mainly on the issues of culture as resources of modernization. I`m confident that here in Baky, we will have wide and comprehensive discussions on broad impact of humanitarian aspects on modern life. A subjective human factor, undoubtedly, affects interim and final result of any activity. Besides, national way of life, confessional and other traditions affect social, scientific and economic practice of people and states. Finally, national values have an inevitably impact on the development of scientific ideas. This can be reflected in the system of prohibitions, which encourage or limit the development of scientific disciplines. One of the vivid examples is an approach to researches in the field of planning, which are allowed in some countries, and prohibited in others. It is no secret that scientific knowledge often came into conflict with the existing system of conceptions about an individual and the reality. This happened during many long centuries. Even if scholars had revolutionary ideas, their public recognition depended on how much ready the society was to comprehend new results. It’s no coincidence that one of the important tendencies is uniting natural sciences with sciences about life. Modern psychologists and sociologists not simply study the results of researches of physicists, chemists or mathematicians but also closely cooperate with them during the process of scientific researches. The modern world is multifaceted, extremely diverse and socially flexible. And interdisciplinary approach to understanding its vital problems will let us completely see our reality and help us develop and escape from narrow views, simplification. It is important that professional discussions, which will take place in Baku during these days, provoke widespread response both among scholars and in socio-political life of our states. I would like to emphasize, being here on the Azerbaijani land, that Russia and Azerbaijan have always attached great importance to the humanitarian cooperation. Azerbaijanis our reliable and old partner, with which we have implemented dozens of joint projects in education, science and culture. It is symbolic that representatives from majority of CIS countries participate in this international forum. This year, which was declared the Year of historical and cultural heritage in the CIS, is nearing its end. And the publication of the collection of the Azerbaijani and Russian Presidents` speeches on humanitarian topics was timed to coincide with the forum. I am sure that this edition will be arouse the interest of political figures, political scientists, scientific, cultural and educational figures and a wide readership. I wish all the participants fruitful and interesting work, happiness and prosperity. It is a great privilege for me to attend the Baky International Humanitarian Forum and have the opportunity to address such a distinguished audience. So far there have been probably thousands of meetings about what the 21st century has in store for us, but only a few of its humanitarian dimensions. We are rather preoccupied what the changes and challenges could be, without spending too much time on their possible consequences of human life. Therefore I would like to thank the organizers of this meeting which highly put the focus on the humanitarian aspects with new challenges of the 21st century. After all human beings are at the center of everything and they deserve more attention. Before moving into the subject, allow me also to express my sincere pleasure to come to Baky once again. It is in fact always good to be in this splendid city. But this time it is more special as it coincides with the 20th anniversary of the independence of Azerbaijan. For me this is particularly important, because I became Prime Minister for the seventh time in my political career right after Azerbaijan’s independence on October 18, 1991. I remember then sharing the excitement and pride of our Azeri brothers to whom I myself and the entire Turkish nation felt the massive urge to help. Twenty years on, Azerbaijan has become a mature and strong member of the international community with an even greater potential for the future. Indeed, it is most gratifying to see Azerbaijan climb up the steep ladder of development and stability in a resolute and confident manner under the able leadership of President Ilham Aliyev. But of course, I would be totally remiss if I do not pay tribute to my good friend President Heydar Aliyev, who had been a father to his nation in every sense. I still remember vividly our long conversations, reflections with him whose wisdom, courage and foresight has led Azerbaijan to where it stands. It was again presidents Heydar Aliyev and Ilham Aliyev who have been instrumental in translating the unique and historical bonds of fraternity between our two peoples, which we describe as one nation-two states, into a strong institutional relationship of an exemplary nature. Today, Turkey and Azerbaijan enjoy excellent relations in every field from economy to culture, from energy to transportation. I am confident that the best in our relations is yet to come. It has been ten years into the 21st century and we are yet to find a new order. Indeed the past decade has been a fast transition of all of us. What we can say confidently is that almost everything we know has changed and we try to understand what are reasons and consequences. It is enough to depict current era solely “Post Cold War”, since late 80’s and early 90’s almost a time of ancient. However we can not deny the fact that if there is a turning point that unleashes the controls of a new era it probably dates back to the end of cold war, because it was only then that the nature of international system has started to crumble and horizons of the world expanded. In that sense the end of the cold war has not brought down the iron curtain in Europe or created a new political geography in Eastern Europe and former Soviet territories, but it opened gates for globalization in the entire world. Indeed it was 1990’s when we saw the beginning of an unprecedented mobility of human beings, capital ideas all over the world, shrinking it to a global village and rendering the borders somewhat irrelevant. It was no more a zero sum game, where every single move could and had to be met with counter one. What emerged was a different world, where everything was interconnected in a much more intricate way. It was more not possible to confine any development to its immediate environment and thus peace security and development has become totally indivisible. If the end of Cold War and its balance of terror made this kind of globalization possible, the advances in technology made it feasible and irreversible. Indeed within last ten to fifteen years the world has witnessed a revolution in communication and transportation. In most cases what sounded like a pipe dream only a few years period has now become an indispensable part of our daily life. Those in the remotest part of the world are now connected to the rest through Internet and transportation of every kind. Information flow is so fast and in so many different ways that it is not possible to control or restrain it. That is why the current era will probably be called by historians of future as one of the information and knowledge without borders. Maybe we were not able to understand the significance of this phenomenon until we saw the youth in North Africa and Middle East linking up the with the rest of the world through internet, getting organized through social network such as Facebook and Twitter and carrying out revolutions before the eyes of millions watching them live on television. Today there is no doubt that revolution in communication and transportation technology has become the motor of change. I am sure ten years from now we will be equipped with more advanced technologies enabling us to shorten the time and distance between different corners of the world. That is another aspect of the 21st century, which is pace. The last ten years for instance has certainly been much more eventful and faster than precedent three decades. That is normally good as long as we know how to benefit from that from what comes out it. It is also certainly presents us with the challenge to compete with pace of the changes. Everyone should understand that not taking part in this race will leave them behind in an unproportional matter. I have spoken about what the 21st century brought to us. We know that the rule of this century will be fast-paced globalization with new technologies in communication and transportation accelerating the change and increasing its impact. But how difficult compete with this phenomenon, what did we learn from it so far? I believe the objective of this meeting is precisely to find the right answers to these questions. There is no doubt that the 21st century has brought unprecedented opportunities for peace and development, which have been taken up to a certain extent. Indeed, the disappearance of border lines in practice and the transparency that came with it has led to a stronger embarrassment of values such as respect for human rights, democratic governance, rule of law and accountability. It also empowered free market economies with a larger space for international trade and investment. As a result, today more than two-thirds of all the independent states live under democratic regimes with free market economic systems. One cannot deny that the fact is that today even the most dictatorial regimes pay deep sense to democracy since it represents the common goal of the entire humanity. And it particularly saw as people around the world become much more demanding to control their own fates and their identity. In other words today the world becomes a more peaceful place with more democracies around. It also becomes richer as we benefited from new opportunities of trade, investments and production. That said, this is not the whole picture. First of all, just like opportunities the risks and threats have also benefited from the means of globalization. In addition to the continuation of many conventional conflicts in the Middle East, Caucasus, Balkans and Africa, we have witnessed the emergence of new and evolving risks and threats of an increasingly trans-border nature. In that context, terrorism, proliferation of weapons of mass destruction, illicit trafficking of all kinds, organized crime, and cultural and religious polarization are the first to come to mind, which abuses the benefits of globalization. But maybe even more importantly, we are faced with another downfall of globalization in the sense that its benefits are not fairly and equally enjoyed by everyone in the world. Yet the world is getting richer but doing so in a dangerous and hard way. In other words, although there is objective progress and development in almost every part of the world, the gap between the rich and the poor has unfortunately continued to widen. This is why the United Nations as part of its Millennium Development Goals has declared the eradication of poverty as the most fundamental and pressing priority for the international community. Unless you can’t make the progress in this direction and make the benefits of globalization for the development and prosperity available to everyone, you are then going to find ourselves more in negative side of globalization than otherwise. Indeed, if we cannot reduce poverty and provide hope and prospect to more than a billion people living on less than a dollar a day, then those people will provide a fertile ground for recruitment by extremists. In term the prosperity that comes with globalization will be almost nothing as it will be largely consumed by increased insecurity and alienation. This starts feeding other risks and trends such as terrorism and trafficking, organized crime and xenophobia creating a circle that needs to be broken sooner rather than later. Unprecedented increase in world population makes poverty particularly dangerous change to be addressed. When you consider that the population increase takes place mainly in the underdeveloped world the need to ensure more even distribution of world’s riches among its inhabitants became important. One should keep in mind that another great challenge of the 21st century is also getting aggravated with the increasing poverty and population. Today millions of people, most of them are little children, are dying every day due to hungry and epidemic deceases. In line with another Millennium Development Goal we need to be able to feed and provide proper treatment to those suffering from lack of food, sanitary, water, shelter and medicine. The uncontrolled increase in world population has also been taking its toll on the globe’s limited resources, because we started treating our planet more harshly and severely trying to feed the new members of the world. In this regard the poor did not pay much attention to the protection of its environment, while the rich wanted to get more of it in everywhere it can. In particular, the need to produce more energy to support development and production became a tricky part of this equation. There is no doubt that we need more energy to keep up with the requirements of population increase and the enhanced level of production it necessitates. However, while doing that we must be extremely careful about the impact we inflict upon our globe. The increase in greenhouse gases, the erosion of the ozone layer and the global warming are not hypothetical or theoretical prophecies. They are actually happening–every single day darkening the prospects of life on earth. As they say we do not live on award, we have inherited from our ancestors. We live on a planet that we borrowed from next generations. We have responsibility to leave them safer and more prosperous place to live. And the way to do it started with paying more attention to get another Millennium Development Goal which guides us to work more effectively for environment sustainability. To this end we need to find ways of benefiting more from renewable energy resources like solar and wind. There is a place to make smart investment and I believe it is in this area. I call open everyone to involve towards making green revolution a reality. Next year we mark the 20th anniversary of another landmark event—Rio summit on environment. As a participant of this historical meeting we have undertaken a strong commitment to make our habitat a more liable place. I believe that time has now come to fulfill our commitments in a meaningful and effective manner. I would know briefly reflect on what the 21st century presents to us and what we have learnt from that? What needs to be done in order to minimize negative humanitarian aspects of this new world and maximize its benefits? In other words, what do we have to do in order to stay on the positive side of the globalization? First and foremost, we need to understand that the challenges of this new era are much bigger than any single nation can address alone. Therefore, there is no more superpower that can steer the course of events in a preferred direction. The world is becoming multi-polar place with a new countries emerging as power centers. Therefore, international cooperation is imperative to cope with the challenges of the 21st century. It is a must to remain peace, to sustain development and to ensure security and stability. That is why the requirements also found – reflection in the Millennium Development Goals in the form of global partnership. Our single most important objective should be to strengthen effective multilateralism. The United Nations should be at the forefront of this endeavor, which is also very much related to how we are going to reform global governance in the face of today’s challenges and realities. In this regard, we need to be able to restructure the U.N. and the other global institutions in a way to make them more representative and democratic. They need better reflect to present balance of power and facilitate cooperation toward common goals. In this regard the increasing significance of regionalism should also be taken into account. The first 10 years of the 21st century has a mixed record of our ability to meet the challenges it presents to us. I believe that we have a good understanding of what these challenges are and what needs to be done. Once again I thank President Ilham Aliyev for taking the lead in such an important endeavor. In the beginning of my remarks I said that Azerbaijan has become a more mature member of international community. Turkey have ever will continue to be strong partner of Azerbaijan and all other like minded countries in this honorable journey. Dear Mr. President, Madam Aliyeva! Thank you for the honor of being here and the opportunity to read former President Clinton’s letter. On behalf of the United States congratulations again on the 20th anniversary of independence. Before I begin I would like just to recall President`s thoughts about cooperation among the countries represented here. I remember how shortly after late 1999, the intergovernmental agreement for the Baku-Tbilisi-Ceyhan oil pipeline was signed by President Heydar Aliyev, President Suleyman Demirel, President Eduard Shevardnadze. President Clinton who witnessed that refer to that moment as one of his proud achievements in foreign policy. So he has always felt deeply connected to Azerbaijan and was right because those agreements led to the project that has been tremendously successful. You see many the fruits of it outside of the window right here because of the cooperation among companies from Azerbaijan, Turkey, United Kingdom, United States, Russia, Japan and others so with that I would like to read President Clinton’s letter. It is a great honour for me to participate in this international humanitarian forum convened at the initiative of the Azerbaijani government. Earlier this year Azerbaijan already organized another high-level event – the World Forum on Intercultural Dialogue – in which I had the privilege to participate. Therefore, it is a great pleasure to come back to Baku once again for such an important gathering which I believe will be a success. The topic of this Forum is “Humanitarian aspects of the challenges of the 21st century”. I can say without hesitation that the Organization I represent – the Council of Europe and its Parliamentary Assembly–deals with the very essence of these challenges every day. The “core business” of the Council of Europe is democracy, human rights and the rule of law – the fundamental values which make up the foundations of our society. These fundamental values are not the goal in itself, but a means to ensure long-lasting peace and prosperity. Their respect creates a general framework for all human activity and general well-being. Let me start by saying that the biggest humanitarian challenge we have to face today is “Living together”. As we all know, new challenges to the European multi-cultural model are emerging: the formation of separate ethnically and culturally homogeneous parallel societies, coexisting together, even in a peaceful manner, but without interaction, creates a real potential for instability. In fact, the lack of inter-cultural and inter-ethnic interaction leads to misunderstandings, lack of trust, prejudice and discrimination. Even worse, discrimination and prejudice leads to intolerance, extremism and xenophobia and, as we have recently seen in many places in Europe – to terrorism. – In April 2011, our Assembly held a very interesting debate on the religious dimension of inter-cultural dialogue with the participation of representatives of different religions – Catholic, Protestant, Orthodox, Muslim and Jewish. It was the first time in our history that they spoke together in our Assembly Chamber, sharing their belief that societies can only prosper if we promote respect and mutual understanding between peoples, strengthen solidarity between individuals and communities, as well as reinforce social cohesion. – Moreover, in June 2011, our Assembly held a debate on “Living together in 21st-centuryEurope”, examining the report on the same subject prepared by the Group of Eminent Persons convened at the initiative of the Chairman of the Committee of Ministers, Minister of Foreign Affairs of Turkey Ahmet Davutoglu, and the Council of Europe Secretary General, Torbjørn Jagland. In this debate, we resolved to reflect on ways to overcome the current “crisis of leadership” in Europe; encourage politicians and elected representatives at all levels to speak out on the challenges currently raised by the threats to the European project as well as reflect on the proposal for an annual Forum against extremism. Moreover, we recommended that the Committee of Ministers of the Council of Europe consider launching a major “Campaign on living together” in order to promote the principles of tolerance and respect for differences, inter-cultural dialogue and fight against extremism and xenophobia in European societies. I am very much looking forward to the implementation of these recommendations. The humanitarian challenges Europe is facing are not only centered around problems we are confronted with at home. We are living in a globalized and inter-connected world where humanitarian problems in one particular region could have serious implications and consequences for all of us, even if we are not directly and immediately affected. In this context, last week, during its 2011 October part-session, the Parliamentary Assembly held a current affairs debate on “How can Council of Europe member states come to the aid of countries touched by humanitarian catastrophes such as those in East Africa”. In this debate, which I personally introduced to the Assembly, we came to the conclusion that the current European and international mechanisms for co-ordinating the provision of humanitarian aid must be improved. Europe needs a truly pan-European co-ordination mechanism, supported at the highest political level by all Council of Europe member states. We particularly stressed the need to ensure transparency in the provision of aid, as well as broad information-sharing and efficient co-ordination of the operations, in order to avoid duplication of efforts, competition of resources and overlapping initiatives. Moreover, we pointed out that the international community had to act in a proactive manner in order to create an environment in which the consequences of humanitarian disasters are minimized and the necessary aid can be delivered in an efficient and effective manner. In other words, we have to address the root causes of humanitarian catastrophes which are underdevelopment and lack of good governance. And here I see a clear role for the Council of Europe. The standards we promote – and by this I mean democratic stability, human rights and sustainable development – make up this environment. In this context, the situation in East Africa is not unique. I am thinking here in particular about Europe’s immediate neighborhood – by which I mean, Northern Africa and the Middle East– where the problems which triggered the Arab revolutions – inequality, corruption, lack of political freedom, but also unemployment, economic downturn and lack of opportunities on the job market – have yet to be resolved. As a result, many people from the region, especially, the young generations, continue to live in precarious humanitarian conditions. As a result, in recent years, and more specifically, since the beginning of this year, Europe has been facing a tremendous increase in the number of refugees arriving by land or see, trying to escape humanitarian disasters, economic hardship or political repression. In the face of this new challenge, our response should be two-fold. Firstly, it is our moral obligation to provide support and assistance to those in need. In the opinion of the Parliamentary Assembly, it is a paramount responsibility of each member state of the Council of Europe to meet its own international legal and humanitarian obligations under the 1951 United Nations Convention relating to the Status of Refugees. It is a fact that, although the concentration of refugees in certain regions puts them under very strong pressure – and here I think in particular of Malta and the tiny island of Lampedusa – the number of asylum seekers in Europe, and in particular those arriving from the southern Mediterranean, should not pose an insurmountable problem for Europe as a whole. Therefore, it should be a common responsibility of all European countries to address this issue and ensure that those seeking international protection should have access to fair and efficient systems for the processing of their claims. While we are talking about the refugees, as President Ilham Aliyev already underlined, we should not forget the refugees and displaced persons living in Azerbaijan due to the problem of Nagorno-Karabakh and as the result of the occupation of the territories of Azerbaijan by another member state. There are around one million refugees and displaced persons living in Azerbaijan. And I know that President Ilham Aliyev and his government are doing their best to improve the living standards of these vulnerable people but we should not forget that especially women and children are still living in difficult conditions. Secondly, we should support our neighbors in promoting good governance and strengthening their democratic institutions. And with our new status of Partner for Democracy with the Parliamentary Assembly, the Council of Europe is very well equipped for this task. Without offering full membership, this status allows non-member parliamentarians to participate in the work of the Assembly, express their views, share their experiences and contribute to the development of new standards. In June this year we granted the Partnership status to the Parliament of the Kingdom of Morocco. Last week we welcomed another new partner in our growing Family – the Palestinian National Council. We now actively promote this new status in Tunisia through the provision of support in the organization of democratic elections as well as their observation. We hope the new authorities will apply for the partnership status when they feel ready. But I must stress that interest in the partnership status is growing not only around the Mediterranean. Last week, in Strasbourg, I received a delegation from the Parliament of the Kyrgyz Republic, headed by a Vice-speaker of Parliament. During this visit, the Vice-speaker handed over to me a letter from the Speaker of Parliament informing me of the Parliament’s decision to apply for the Partnership status. This is a clear political message which I strongly support. Therefore, we are looking forward to receiving a formal application from the Kyrgyz Parliament, so that we can launch the procedure. I am sure that the application from the Kyrgyz Parliament will be a good example for other countries from the region to follow. In particular, during my recent visit to Kazakhstan, I actively promoted this status too. And I can tell you that my arguments were positively received! We are living in a rapidly changing society. As I have just illustrated in my speech, the challenges we are facing in Europe are closely interconnected with the humanitarian problems in other regions of the world. Therefore, a consolidated response is needed. For our response to be effective, we have to stay united around the universal fundamental values which help us make progress. These values – and I mean, democracy, human rights and the rule of law – remain most relevant in the 21st century. And I am glad that this Forum gives us another opportunity to once again examine our joint actions in the light of these values in order to find new comprehensive responses to the challenges we are facing. It is a pleasure and an honor to be here. I thank the President and Government of Azerbaijan for this initiative, and I express wishes for success from the UNESCO Director-General, Ms. Irina Bokova. In a world changing profoundly, we need every opportunity to discuss global challenges and act together. This is why the Baku International Humanitarian Forum is so important. This Forum provides a platform for dialogue, for the exchange of views, ideas and visions. This is more vital today than ever before. Multiculturalism, the role oftechnologies in society, the advancement of the sciences and ethical issues, the safeguarding of traditional values in the fast changing region and world – these themes raise core questions of global governance today. Taken together, they may be boiled down to a single question. This is the question of a new humanism for the 21st century. What is the role of the individual in interdependent and complex societies? How can we ensure the dignity and rights of every man and woman remain the starting point for all action and the measure of its success? The position of UNESCO is clear. Being a humanist today means building bridges between North, South, East and West, and strengthening the human community to tackle challenges together. It means guaranteeing quality education for all. It means encouraging scientific cooperation and sharing knowledge for the benefit of all. It means upholding the Universal Declaration of Human Rights –notably, freedom of expression and freedom of press, which lie at the heart of democratic society. The modern world is multifaceted, complex and diverse. Modern network-based communication systems provide almost unlimited access to information and reveal brilliantly the diversity of global developments. But beyond diversity, we all remain humans. We share a common civilization, reflected through different cultural expressions. All cultures are different, but humanity is a single value, based on human rights and fundamental freedoms. Freedom of expression contributes to the democratic development good governance rule of law and empowers people. Broadband communications facilitate the free flow of information and access to knowledge has become an easier than ever before. In a fast changing environment, we need to rethink our approach, but we must remain true to these basic principles. These ideas underpin the mandate of UNESCO and the overall mission of the United Nations. UNESCO’s Constitution states that meaningful peace must be founded (I quote) “upon the intellectual and moral solidarity of mankind.” A peace based solely on political and economic arguments is not enough. Our Constitution says that if wars start in the minds of women and men; it is in the minds of women and men that the defenses of peace must be built. UNESCO’s role today lies in bridging the gaps that exist in global governance. It lies in bolstering those public goods that are vital for our common future. UNESCO does not deliver financial aid, but crafts the conditions for development. UNESCO does not itself keep the peace, but works to make it last. The strength of the Organization lies in its international leadership to foster collective action on key public goods in education, culture, science and communication. These are global goals, affecting all countries. The Baku International Humanitarian Forum is an excellent platform to explore the complex challenges we face. I can hardly think of a more fitting city to address these issues than Baku, a jewel of the Caspian. The stakes are high and it is our duty to contribute to the solution in every possible way. I assure you my speech will be very short. I know most of you are very tired. It is an honor for me to address this forum at the opening of its activities here in Baku, beautiful and historical city. The opening of this humanitarian forum marks a new phase of civilizational cooperation. On this great occasion, I would like to extend my sincere thanks and gratitude to his Excellency Mr. Ilham Aliyev, President of the Republic of Azerbaijan, for the support his government provides for the Islamic Educational, Scientific and Cultural Organization (ISESCO) and the Islamic joint work within the format of the Islamic Cooperation Organization. It equally gives me great pleasure to congratulate his Excellency and brotherly people of Azerbaijan for the establishment of the Baku International Humanitarian Forum, which opens at the decisive time to reaffirm Baku`s role as a capital that promotes dialogue among cultures, fosters alliance of civilizations and congregates the world’s renowned intellectuals with the aim to strengthen mutual respect among the peoples of the world and promote understanding, tolerance and coexistence. Baku international humanitarian forum will seek to achieve the objective of drawing up a new humanitarian agenda in the time of globalization and further humanitarian action of international level. This is surely a noble objective that forms part of the Republic of Azerbaijan’s quest to promote the civilazational message, which is believed in and which has committed itself before the international community to carry out since His Excellency Mr. Ilham Aliyev has taken office. This quest surely makes this honorable country a home of harmony and convergence and a haven of growth, development and mutual understanding among peoples. The numerous international conferences that have been held in Baku on dialogue mutual understanding and cooperation in the time of globalization, some of which ISESCO had the honor to co-organize have indeed drawn the attention of the world to this capital, which has contributed significantly to the human culture. It also reaffirms the Baku’s capacity to host such a humanitarian project, which will undoubtedly have positive impacts on fostering humanitarian action in the time of globalization. We at ISESCO value the considerable importance of this humanitarian civilazational project. Given the significance of the objectives it aims to achieve within the framework of international cooperation with governments as well as international, regional and local community organizations. ISESCO is certainly willing to cooperate with this forum to accomplish joint humanitarian goals it pursues. Our world today is very troublesome. So we need humane approach to solve the problems of our world today based on justice and resolutions of the Security Council and General Assembly of the United Nations. The issue of Nagorno-Karabakh, Palestine and many other areas need a humanitarian look before a legal look. On behalf of ISESCO, which counts 50 member states, I applaud Baku international humanitarian forum and wish it every success. I thank you for this. It is an honour and privilege for LomonosovMoscowStateUniversitydelegation to take part in the opening ceremony of Baku International Humanitarian Forum “21st century: hopes and challenges”. When addressing such an august gathering, I am remembering landmarks of our historic cooperation and I cannot help being astounded by variety of shared achievements of Russian and Azerbaijan scientific and educational schools and by the fact that our civil societies and academic communities are so close and similar. The history of cooperation between Russia and Azerbaijan is in many respects a history of creative collaboration between scientists of our two countries. For instance, Baku University, which has long history and is the flagship of education in Azerbaijan, is currently a renowned academic centre of progressive ideas and national research in the country and it is a brilliant example of such cooperation. University scientists took an active part in establishing the Academy of Sciences of Azerbaijan: the research institute for petrochemistry is named after Yusif G. Mamadaliev, who was a prominent student of Moscow professors Nikolay D. Zelinsky and Alexey A. Balandin and the founder of petrochemistry in Azerbaijan. For many universities in the country, relations with Russian universities have underpinned and supported development and progress. Aspects of cooperation between our universities are innumerable. I would like to highlight joint projects of the chemistry faculties of Moscow and Baku Universities that are rapidly moving forward. The rector of Baku State University Abel M. Maharramov presented a Ph.D. thesis under the academic supervision of Moscow State University Professor, Academician Nikolay S. Zefirov at the chemistry faculty of Moscow University. Cooperation in field of law, economics and the humanities is advancing rapidly, moreover undergraduate and postgraduate students as well as faculty members from Azerbaijan are now studying or participating on a training courses at our university. I am full of emotion when I remember the years when we studied, worked, received first research results and organized conferences here in Baku together with prominent Azerbaijani mathematicians such as Academician Zahid Khalilov, one of world-famous mathematicians of Azerbaijan and the founder of functional analysis, Faramaz Maksudov, outstanding specialist in applied mathematics and mechanics, Majid Rasulov, expert in partial differential equations and functional analysis, Jalal Allahverdiev and many others. Nowadays, cooperation between our mathematicians is constantly consolidated and developed. We all share the common Eurasian space. The Eurasian Universities Association has recently celebrated 20 years since it was founded. 20 years ago the Assembly Hall ofMoscowStateUniversityhosted the Constituent Congress of the USSR Universities Association. It is to be noted that Azerbaijani colleagues made their contribution into the establishment of this organization and Baku State University is one of its founding members. Two years ago Baku State University hosted the Council meeting of the Eurasian Universities Association where we signed a Cooperation Agreement between our Association and the Association of universities of the Caspian region. In the framework of this cooperation,Moscow University has trained for Azerbaijan dozens of outstanding experts, professors, doctors and academicians, published hundreds of joint articles and monographs, dozens of scientific books. And the University is continuing its efforts aimed at accomplishing this important mission. At present, we are advancing our cooperation in different areas and are implementing various joint projects; one of the highlights has been the launch of the Moscow University Branch Campus in Baku. I am especially delighted that in 2007 the cooperation between Moscow University and Azerbaijan reached a new, completely different stage that I would like to dwell upon now. In May 2007 I paid a visit to Baku. In the framework of the visit I met President Ilham Aliyev, and we had an idea to set up an MSU branch campus and discussed the prospects of implementing this idea. I would like to point out that the project was hugely and comprehensively supported by the President, and on 15 January 2008 President Aliyev signed an executive order on establishment of the branch of the M.V.Lomonosov Moscow State University in Baku. Distinguished Mr. Aliyev, let me express my deepest gratitude for this crucial decision. The first students were admitted in July 2008 to the three departments: mathematics and applied mathematics, chemistry, Russian philology and Romance and Germanic philology, and we started our work. In late February 2009 Baku hosted the official inauguration of the MSU Branch Campus with the participation of the President of the republic of Azerbaijan Ilham Aliyevand Sergey Naryshkin, Head of the Administration of the President of the Russian Federation. On that day, the ceremony of laying the foundation for the new building of the MSU Branch Campus was held. In May, an agreement was reached to open the fourth department, psychology, in Baku Branch Campus. At present, about 265 students are studying in the Branch Campus according toMoscow University programmes. I am confident that relations between academicians and intellectuals of our two countries have always been and will be the foundation for advancing friendship, prosperity and developing mutually beneficial partnership between our countries and friendship between our peoples. To conclude, on behalf of Moscow State University I would like to sincerely wish all the best to the Forum participants and assure all who participate here of our determination to continue doing everything possible for the development and prosperity of our countries. On Thursday 14th of June 1325 C.E (2nd Rajab725 A.H.) the 21years old Abu Abdullah Muhammad Ibn Battuta had left Tangier (Morocco). Thirty years later after traveling more than seventy five thousand miles he returned toMorocco and wrote a book “Famous travels of Ibn Battuta”. His stories reveal us the important role played by merchants traveling the lands and seas in Middle Ages. His memoirs are significant historical source for the early renaissance history of Romania, where the Silk Road linkingSpain andChina, cross the amber road dissenting from Scandinavia to Greece. In Middle Ages commerce, education and faith existed together within a space of dialog and convergent civilization. The cultural heritage has always been a difficult and extremely sensitive topic. The main issue here is a most subjective essence of the heritage idea. Almost involuntarily a Western scholar will favor a historical and cultural reality in the way he perceives as being closer to him. Meanwhile an Easterner one will always relate to the tradition of his ancestors and hold in second in value the one’s which do not share his tradition. Given these circumstances the only way to actually solve dissensions of this kind is a dialogue, the dialogue built in accordance with various aspects of reality – scientific, psychological, cultural, artistic and, last but not the least, religious. When looking at the current development of the relations between the two great religions, it is very hard to think about the balance when we have conflicts, mutual intolerance and the lack of desire for dialogue. We must not forget that all these are nothing but the effect of the half understood history. Given this situation we are bound to ask ourselves a very simple question – Do we really know our own values and norms? In today’s open world, the world of communication and continuous interaction, the world in which evolution cannot be withheld, a closed society has no chances. At the same time, globalization must not be linked only to trade, free market dynamics or competitive products. Beyond all these things, globalization means knowledge of certain values and symbolical goods, closeness and understanding. The accelerating transformation in the contemporary world imperatively asking for our engagement in the process of rethinking the concept of global society, human relationship and most of all, the politics. The politics cannot be considered something separate, something isolated from the day-to-day reality. Today, the politics cannot afford to limit its function to just managing the relations between friends or enemies. On the contrary, it must be considered a collection of best practices meant not to divide, but to join together all the society members around common values. A great humanity conversation must now be encouraged for larger and larger groups of regular people. In the contemporary world, conflict prevention and management of post-conflict situation require a balanced vision, which would take into consideration interests of various religious communities, state responsibilities and natural rights of citizens, as well as conjectural long-time interests of regional actors. This vision cannot be developed without the involvement of representatives able to alter the plurality of voices, questions and desires of billions of people. Not understanding the motivation of others has led to many wrong decisions in foreign policy, triggering conflicts and wars throughout history. The common values- policy as a dialogue basis can bring about stability to our globalized world. The great popular movements for freedom, democracy and human rights in Northern Africa and in Middle Eastwill change the face not only of these countries alone, but also of the entire world in the near future. What we see here is a possibility of establishing a security and peace guaranteeing system based on what we call “soft power”. International politics as well as classic diplomacy was built on power and force relations and we continue to be so along time. From now on the concept of “soft power” is far being functional. I want to be well understood I don’t asking to replace classical diplomacy with cultural one. It would mean for me to encourage dangerous utopia but I stand up for associating them. From my experience gained as the scientist, as a man of culture as the state man I can say that culture diplomacy it is the same classic diplomacy as the non Euclidean geometry with the Euclidean geometry, the relativistic physic with Newtonian physic, the law of including middle with the law excluded middle of the Aristotelian logic, the modernist and postmodernist with the classicism and neoclassicism literature, music and art. I believe that we can hope for more. For the moment big powers and the international organizations (UN, UNESCO and civil societies) try to create a political culture of security throw negotiation and cooperation in order to promote peace and understanding throughout the world. We are looking for the lowest common denominator on which everybody can agree. In my opinion, if we really want to achieve peace and understanding between people we must focus on identifying not the lowest common denominators, but must relate ourselves to the highest common denominators. Twenty years ago people inEastern Europewere ready to fight and die for freedom and democracy. In a new millennium let us discover the faith, but not in order to use it – like it happened during the long history of humanity – against each other, but to understand the reason of our creation. Peace is a name of God either we are Christians, Muslims, Jews or representatives of other religions. It is the right time for new democracies to create a human face capitalism project, and thus the revolutions in the 21st century will be not only for liberty, but although for human dignity. I would like to bring to you a slightly different perspective concerning humanitarian cooperation and partnership. It is important to know where we are and where we are going. From my own perspective, if you look at the globe of today, it has shrunk in the space and also we have made the time much shorter. If we look the world at large today, there is more than two billion people right now are clicking on the internet. If you think you can communicate today, not between Baku and Los-Angeles or Cairo, but you can compare and contrast the communication of the past by the communication of the world we are living in today. I witnessed myself in Los Angeles, in a place where I work. You can sit down on the ground and receive a photograph from Mars in only 16 minutes. These are photographs, which are coming at the speed of300,000 kmin one second. This is the world we are living in, we are communicating between planets, not between cities. In my view, the great opportunity of the 21st century, as the President said this morning, is that for the first time since humanity has been on this planet knowledge and science are playing not only an important role but a critical role in the development of nations. I want just to give an example. In the microcosmos today, we have tools, methods ways to control atoms and molecules in the space and in time. What does this mean? The whole industry of drug discovery is going to be totally different. We are going to learn about diseases in a way that has never been seen before. You and I, no matter wither we like it or not depending on our age, we contract Alzheimer at later age. Alzheimer is caused by one molecule, by protein molecules. These protein molecules if we can control it and get into it, manipulate it we can completely transform medicine of tomorrow. Macrocosmos when we look at all our planets and our universe. We know that our universe is extending and accelerating. In fact, there is a communication we are thinking about between not only our planet earth and other planets but between galaxies. The world of this so called developing world is trying hard to make it. But we have to realize where the other world is going. People are thinking about colonies on moon and on other planets to bring other resources. The complex world of life sciences we do not understand until now how we cure as I mentioned diseases at the most fundamental level. With all of this panorama of things, the latest discovery inJapan, for example, about stem cells that again for the first time that humanity will be able take some capture from your skin when you are as old as I am. With some biochemical processes we can bring this back into what is called stem cells. It means that we can manufacture organs for you and keep it in the refrigerator until you get older and have some problems we can replace this organ. The world is transforming very rapidly. This is my concern about the issue of feeling that the developed world is supposed to do this and it must to do that. Ladies and gentlemen, it does not work this way. I think what you need to do is to clean the house first, build up the knowledge base, build up the science andtechnology base.Americawas not born on the planet Earth to be a superpower but people worked hard and developed a new idea. I am concerned about some of the challenges that are going on in the world today – challenges such as lack of food. A very recent and thoughtful article about some correlation between some of the revolutions that are going on in the world today including those in the developed world and the fact that correlates with the rise in the price of the food. We have six billion or seven billion people and in 2050 it will be nine billion. And there will be lack of food and lack of energy. All expectations that oil is about 50 to 100 years to survive whether it is Middle East or in Azerbaijan or in any other country. What you need to do, I like very much the motto of this country that you bring about the transformation of these black resources into really a human mind. We need to build and rebuild the human mind, human culture and education. Only then, in my view, would we find this confluence between culture and civilizations. There is no basis for conflict of religions. I come from different faith and different culture but I live in America. I consider myself that I can bridge those cultures and civilizations. All the debates on that conflict of civilizations and conflict of cultures are baseless. I believe they do not have any physics in them. What we really need to do is to have true partnership in order to achieve true humanitarian partnership and peace in the world. I am an economist. Economics is in hard time these days. I think that is probably right. It seems to me economics is about human welfare. We live in a two-piece world where some countries are doing pretty badly. If we look at the growth rate of America or European Union you will see there is no actually a decline although maybe it will be next year. But unemployment levels are very large. In some countries, unemployment can be over 20%. So, young people can be nearly 50%. When you are looking at something I think is the human disaster because not being able to participate in the world in a way one is supposed to be able to, that to say, by working but for many people it is more or less like that. Research on what it is that makes people happier or satisfied or content with their lives suggest that unemployment is perhaps is the most serious, severe depravation. You would think of course it would be something like illness. Unemployment seems to be worse. Yet I said about two-piece world because a lot of the world is doing very well in economic terms. The two are interlinked. Through some idea that we are really globally interconnected world and we cannot do well when others do badly. Prosperity of the large part of the world has had a lot to do with the rising price of oil and other commodities. And that as usual in recent decades has contributed to serious economic recession in another part of the world. Of course, the rest of the world contributed a lot to its own trouble because banks simply failed to do economic function. More generally, we have to say that this looks a partial failure the market system is running economies. Not one who believes that there is an alternative to economic system that would have done better. We are talking of really large and serious problem. What is the market system all about? What is getting created when it works is as much as possible of the various economic goods. Economies that used the market system I obviously mean China as well as other economies that generated magnificent economic growth. We all should be hesitant about using this standard measure of economic growth as being equivalent to some kind of measuring how well the world is. GDP has become a very common phrase. There is no reasonable sense which measures the advantages the people are getting out of the economy. What I am going to pick up one general sense, which is not satisfactory, there are many other senses. GDP does not give you much indication how many people are unemployed. The problem of quality that strikes me as needing a serious attention. The market system is not as it works in reality terribly good in ensuring that many things will be of satisfactory quality. I have always wanted to get into the global warming on this because part of the quality of what is being created when you use fuels to generate electricity. We could look at some straightforward examples. There are a lot of people who would still like the market to dictate how many schools we have, how many hospitals we have, how many doctors or nurses and so on. But market is not going to do anything to ensure medical treatment. Set of services in the health services are indeed effective and most economically suitable. A lot should say one should ignore economic considerations. But what I want to say there are many other mechanisms that can be involved in arranging the delivery of things like healthcare, education, environmental improvements. I think we have to pay very serious attention to simply the recordkeeping, which many reasonably call research. We need to find out whether we use particular methods of teaching. It has to be there in the system that you have an adequate record of what it has achieved. The most countries have a proper system to finding out to what extent particular medical treatment actually work. An immense area here that seems to be the part of what economy is doing should be properly studied and needs a lot more attention and credit. I expect tomorrow to talk about issues of poverty, major problem for the economists chiefly interested in particularly thinking of human effects of economic systems. It is a valuable thing that one should get together in large groups like this and think again whether we are exactly doing the right thing here. I do want to emphasize that here is an area, do proper record-keeping and research and monitoring of what is being achieved is of first importance and not merely enough as yet been done by that. Dear Mr. President of theRepublicofAzerbaijan! I congratulate all on the beginning of the first humanitarian forum in Baku. I was in your wonderful city and met with wonderful person Heydar Aliyev. Yesterday, I visited his grave. He would have been happy to know his ideas and dreams are being realized by his son and people, whom he devoted his life to. I thank organizers for hospitality. I wish everybody successful work in the name of peace and mutual understanding. Let`s remember the words of immortal Nizami: “The one who does not search for friends is an enemy for himself”. I think I have to say what I am rather than who I am. Who I am will make no sense. I write books. I have to write books. I try to travel the world for that purpose of looking and writing my books. I am very happy to be here in Azerbaijan with beautiful landscape. I do not have any humanitarian, economic, political or astronomical overviews. I will be talking about writing, what happens to people who tries to write. We talk about writing not in the abstract but practical way. How about writing business? Have you shaped sentences? Things like that. That is the first thing I had to learn when I settled down to be a writer. I had to learn about language. I wrote essays at school and at the university. I had to learn about it. I spent long time doing that. You have to find out what you want to write about. You have to know about the world a little more than a young man does. Out of that, in perfect knowledge you begin to fabricate your fictions, your ideas. My first book I attempted was a kind of prestige given to the very famous English writer Evelyn Waugh. He is a comic writer. I thought a comic writer had cut himself out to do a very simple business. You know that it is not so because comedy requires a kind of sensibility. I thought I can do something more serious but again I had no idea what I have to do in line with serious writing. I decided to write about daily life of a simple person. It is a terrible idea because writing about events in the life of a simple person is to write a way simple kind of book the people are not interested in. I sat with someone who came to the studio cause I was doing some part time job at the radio those days – very strange as editing of literary program without knowing how to write. I asked the visitor to the program to look to what I have done, to give me ideas. He sent it back almost, saying “If I were you I would abandon this, which has no future”. He told me why as he explained to me the work of writers I should look at. I thought of course that the man who gave this bad price was foolish or wrong because he missed the point I was writing. After about six weeks of worry, I began to feel there was something in what he said to me because deep down if you are writing badly, you know it. You do not need a critical judgment. I have done the two books. After that I decided to pay more attention to creative language. I did that for six weeks. One day at the radio station I went to the room, which is reserved for a bit like myself, freelance writers and I began to write. My wish that day was not to get up from the table, or the typewriter, until I finished what I wanted to do. I did that. Next day I wrote another little piece in that way. This was all done with this new concern for language, which I had, trying to do my work in direct and simple language, not being a kind of schoolboy. That is the way I began to write my first real book. I went to England in 1950 with the idea of not only going to the university but being a writer. Being a writer does not mean writing one book but keeping on writing. Writing is a continuing sensibility. Writing is a continual process of learning. Everything becomes a struggle. You learn to write, about language. Then, you have to do another book, another kind of book. All this has to be learnt. How can a writer go on? What will happen if he comes to the end of this material? Many people think of writing in a more abstract or philosophical way. You would like to ask writers about their views on something. My ideas are smaller and impersonal. I like larger ideas we have been listening today. To people, writing is kind of mystical ecstasy, which is done simply and beautifully. I have not found it to be like that. I hope what I have said has been of some interest to some of you. It is a great honor and pleasure for me to participate inBaku humanitarian forum and address such a distinguished audience. I would like to express my deepest gratitude to His Excellency, President of the Republic of Azerbaijan, Mr. Ilham Aliyev for his kind invitation to attend such an important forum. I’m convinced, under the leadership of President Ilham Aliyev, we will be able to make this forum successful. Today’s world is a complex one. There are regional disparities, there are some countries which enjoy high-level of living standards, there are poor countries, which suffer from food shortage and illiteracy. Nowadays there are pressing global challenges that mankind has to face, and no individual country can take on these challenges on its own. For example, climate changes are a serious man made problem. The consequences of climate changes are particularly affecting food production. The impact of climate changes can sometimes be very serious, leading to instability and starvation. This can happen to even to those countries which seem to be able to overcome food crisis. Therefore we all have to do our best to stop the degradation of the environment. For this we need a strong political will, an integrated approach by the international community with more unified action and with common strategy. Both Slovakia and Azerbaijan are young states; their nations have long history and rich cultural traditions. The question is that what such a small country like Slovakia can do to make the world a better place to live. TheSlovak Republicis member of the European Union and the Organization for Economic C ooperation and Development. The country took on responsibilities for contributing to global development, strengthening international solidarity, providing aid to people suffering from hunger, natural disasters or armed conflicts. Under the Official development assistance (ODA) strategy of the Organization for Economic Cooperation and Development, which is updated every six years,Slovakiahas been engaged in the bilateral development assistance program carried out in developing countries since 2003.Slovakiahas been providing humanitarian aid to other countries through a mechanism approved by the Slovak government in 2006 in accordance with national official development assistance program. In 2010 Slovakia provided aid in order to eliminate emergency situations in Afghanistan, Albania, Montenegro, Chile, Pakistan, Moldova and Ukraine. In 2011 Slovakia manifested its solidarity by providing humanitarian aid to Japan, Bosnia and Herzegovina, Horn of Africa, Kenya, Ethiopia and Pakistan.Slovakia also paid attention to post-humanitarian aid in form of recovery assistance, including a broad scale of development projects. Slovakia helps to secure democratization process in Afghanistan through 13 new projects. Ladies and gentlemen, let me once again underline that it is going to be a very challenging event for us. Slovakia stands ready to share its experience and provide humanitarian aid and development assistance. We are also prepared to assist the states which are in the process of transformation since Slovakia has undergone a painful and difficult transition after the fall of the Iron Curtain. Let me once again thank the organizers for such a high-profile forum. Allow me, first of all, to thank the organizers for this very prestigious forum, for a wonderful idea to organize it and inviting me to participate. I find the main topic of today’s forum one of the most important topics of nowadays, maybe more important than topics like global warming, global poverty, because actually the main topic of today’s forum is how to work and how to act together. And if we know how to act together, I think, we could successfully and responsibly address the main challenges facing our world, because this is the most important task not only for politicians, but also for all of us. Allow me to share with you some words about multiculturalism and principles of mutual understanding and cooperation. I would like to highlight the situation with this in our part of the world, I mean the Balkans. Actually my country,Bulgaria, is the heart of the Balkan Peninsula. After the Cold War the processes in the Balkans were difficult, accompanied by brutal and disastrous conflicts in formerYugoslavia. And because of that western Balkan countries remained outside the enlargement processes. And while their neighbors, includingHungary,BulgariaandRomaniamet the European Union membership criterion and benefited from the European help, the Western Balkan countries held negotiations for peaceful settlement of military conflicts. And thanks God this is already in the past, andSlovenia,Bulgaria,Romaniaare members of the European Union, and all the countries of formerYugoslaviaas well asAlbaniaaspire to join theUnion. During this process – I think this is the most important thing I would like to underline here – one thing became evident: peace and economic prosperity in the Western Balkans and everywhere in the world are linked to inclusive dialogue, religious and cultural understanding. This understanding itself could become the only basis for a successful cooperation and mutual trust on a governmental level, and more importantly, among peoples in the region. This was the major subjective in founding in May this year of the Center for Global Dialogue and Cooperation inVienna. And I’m honored and pleased to be its first President. The goal of the Center is, in fact, to launch a new approach in international relations, mutual understanding and cooperation between people belonging to different ethnicities, religions and cultures. We want to see the Western Balkans as a model for stability and prosperity, as a model because the ethnical, religious and cultural diversity on such a small territory is absolutely unique inEurope. Orthodox Christians, Muslims, Catholics and Jews have been born and have been living here together for centuries, and this is completely different from the case with the emigrants inWestern Europe. These people have been living here together for centuries. And we are honored to have the support of President Bill Clinton when we launched this center. He delivered a keynote speech at the opening ceremony, sharing his experience and views on the regional and world affairs. One of the main objectives of our Center is to look for ways of launching a new approach to multicultural diversity. These issues have been on the agenda during debates recently, in particular last month. Let’s only mention opinions voiced by German Chancellor Angela Merkel, British Prime Minister David Cameron andFrenchPresident Nicolas Sarkozy about the effectiveness of the multicultural policy. When speaking of multiculturalism, one thing is for sure: the world we live in is becoming more and more interdependent. We, the people of different cultures and religions should not only live together, we should work together to address the main challenges facing our planet. Our world of politicians begins with commitment to better understand one another, to build trust between each other and to work to avoid misunderstandings. We are also working to build greater understanding among different communities and cultures. Our Center for Global Dialogue and Cooperation committed itself to granting scholarships to thirty students from different western Balkan Countries and having different religious background. In September of this year we reached an agreement with the Clinton Global Initiative to boost educational exchange. And this is a concrete and practical step for reaching mutual understanding and cooperation together. I believe now more than ever that success depends on our ability to translate good work into concrete actions on the issues that matter the most, including the topic of this very prestigious forum. Once again I express my gratitude to His Excellency Ilham Aliyev for his personal invitation to attend this prestigious forum. I accepted this invitation with great pleasure, because I have always had great respect towards ancient history, culture and traditions of the Azerbaijani people, as well as towards modern achievements of your beautiful country. Having witnessed your state’s achievements in the last year of independence and knowing diligence of your people, I can say with confidence that Azerbaijan is one of the leading countries in the region. I deeply believe in your bright future. I think that with his centuries-long traditions, synthesis of different cultures and spiritual understanding,Bakuis a beautiful place for debates on multiculturalism. Wisdom and tolerance of the Azerbaijani people is another important reason why we, the participants of today’s forum, fell ourselves here not dear guests, but friends. 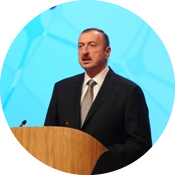 Let me once again thank President of Azerbaijan, Mr. Ilham Aliyev, as well as all the organizers of the forum. Azerbaijan, at the result of its socio-economic, cultural and spiritual development is becoming one of the region`s economic and cultural hubs, is hosting another international event on inter-cultural integration and dialogue, bringing together the world`s political and scientific elite, and giving us an honor to welcome them together again. The fact that over the last few yearsAzerbaijanhas continuously and consecutively hosted a number of high-profile events on inter-cultural dialogue, which is especially topical, and humanitarian aspects of this problem, is another testimony that for the government and people ofAzerbaijandialogue and integration are a state mission and a far-sighted longstanding strategy. I want to welcome each of you in this event, which is dedicated to this mission. And I wish the forum successes. Global processes clearly demonstrate that nowadays mankind is facing globalization, which turns out to be a socio-cultural problem. Naturally, globalization affects economic, political and cultural spheres of life around the earth, in most cases causing contradictions and even conflicts. In recent years scholars, politicians and public figures have been getting more and more confident that it is humanitarian and cultural problems that stand behind political, economic and international relations. These problems must be solved based on one important principle: we must develop our own potential and build mutual understanding. Today the world is moving forward to remove boundaries, it is the world which places an important emphasis on development of one`s potential. This is what increases the topicality of the search for ways of solving humanitarian problems in the context of globalization, bringing us face-to-face with the necessity of active social, cultural and humanitarian policy. Humanitarian problems can be solved through coordinating the components of this principle and making efforts to apply them in the system of political and international relations. We have different decisions, different religions. We speak different languages, and have different moral and behavioral models. However, we should find a common language of interaction to address challenges that we cannot cope with individually, just like we comprehend difficult scientific truths and understand the beauty of the arts. The contemporary world is the world of those who develop their economy and politics taking into account the specifics of humanitarian problems, who is capable of cooperating with the world, who is open to the world and, at the same time, those who do not forget their own interests. In the context of globalization, which is the major line of global development, many thinkers, philosophers and sociologists predict that the convergence of different cultures and inter-continental dialogue will sooner or later result in the emergence of a qualitatively new synthesis of civilizations. This is why most of ethno-cultural systems of nowadays seriously consider the following questions like never before: What social, cultural, moral and psychological stages does the national culture go through under circumstances of intensive interaction with other cultures? This question, naturally, is also topical forAzerbaijan, which is home to ancient and rich cultures. The culture ofAzerbaijan, which has historically had tendency for synthesis of Eastern and Western values, has turned into such a unique whole that allows to conduct an optimum policy of dialogue with other ethno-cultural systems. This was possible thanks to the fact that historically, Azerbaijan`s culture featured most of the religious, philosophical, aesthetic and moral trends of the modern world. Nations which co-existed for millennia formed a single Azerbaijani culture. All nations and religious communities living inAzerbaijanplayed an irreplaceable role in building this culture. For centuries we have preserved this richness, and we know that it occupies an important place in civil society building. Equal inter-cultural dialogue and multiculturalism are more and more considered an irreplaceable development strategy, which ensures the systematic completeness of today`s socio-cultural reality. Modern societies cannot exist being isolated from each other or being in contradiction. The only way of surviving for societies and cultures is to build dialogue and mutual enrichment. Under such circumstances, the relations among different cultural systems are becoming more topical in terms of ensuring the world integrity. Another important aspect here is the individual`s attitude towards the culture he belongs to. If the individual has positive attitude towards history and culture of his own ethnos, then he can easily adapt to alien social and cultural atmosphere. Ironically, when the individual cognizes himself as part of the culture he belongs to, and not as part of a cosmopolitan group, he can transform from the conceptions of ethnos, region, nation to the conceptions of humanity, planet, space. In this case, any cultural, social, political, ethnic and moral individualities can be comprehended as separate fragments of a single whole. Thus, the road to dialogue and mutual enrichment starts from the understanding of differences between us and strangers. The main idea of multiculturalism is the integration of various cultures which allows their preservation as well as mutual influence and enrichment on the basis of equal dialogue. I would like to draw the attention of forum participants to another important idea: it is a humanitarian principles-based approach to the abovementioned issues. Scholars, politicians and public figures are getting more and more confident that it is humanitarian and cultural problems that stand behind most of the political, economic, moral, psychological problems and international conflicts. In the context of globalization, ensuring the contemporary world`s cultural completeness and moral environment depends on how humanitarian problems are solved as well as on the active social, cultural and humanitarian policy of the modern intellectual elite. Every society develops based on its inner logic, and members of the society should study this logic. Culture is not brought from outside, it is born within the society itself. Foundations of mankind`s humanitarian ideas, effective humanitariantechnologies affecting people`s minds, national, cultural and moral orientation, old ideology and mankind values are among current problems which have to be studied. At the same time, the mission of the humanitarian thinking is not limited to socio-cultural format. In today`s socio-cultural system, the ecosystem has reached such a sensitive points when even a little anthropogenic effect can cause a tragic reaction. Probably, the prevention of future catastrophes facing humanity depends on the upbringing of a generation of humanitarian thinking. A coordinated activity of different cultures, scientific, educational and cultural structures is necessary for the formation of humanitarian thinking. This is because we are talking about encouraging humanity to get rid of the negative elements, which can shatter the human being`s conception of individual-individual, individual-society, society-society and even society-nature relations, and at the same time, to promote solidarity, love, cooperation and mutual care. Humanitarian thinking must create moral systems aiming to realize this mission. In accordance with the modern scientific theory, a socio-economic sphere of the society is bound together with other spheres, and their incompatibility can result in serious conflicts and can lead to the decay of the society. If the economic sphere reaches a qualitatively new level, then social and cultural spheres must catch up with this, and even must be the driving force behind the next economic boom. And discussing a humanitarian principles-based development model of the socio-economic sphere by mobilizing humanitarian values is one of the reasons why we gathered here today. And I wish everybody successes in this. First of all, I want to thank all my colleagues fromAzerbaijan, who organized our forum so perfectly. I want to work over and over again. I want to present you our panel, which touches on critical topics of the present day. I would like to praise the organizers for raising such topical issues. What gives credit to organizers is that they decided to bring up such topics to which we approach in different journalist forums and don`t always reach a consensus to move on. I think this forum will give an opportunity to move pretty farther in discussing and solving these problems. I think all these three sub-topics also include discussions on such serious issues as security of journalists, behavior of journalists in emergency situations and rules of conduct during military operations. We want to discuss it all inBaku. I think it is going to be a helpful talk for us. A basis for our discussions will be immutable laws of modern journalism. First of all, it is about new humanity of the 21st century, which calls the new journalism of the 21st century to follow it and that freedom of expression gives strength to citizens of society and a concrete individual. Basing on these basic positions, we would like to return to discussion of social networks, which strongly influence on today`s policy, culture and education of various strata of society. This phenomenon, according to many researchers, creates a new intelligent space, new platform for expression of opinions by millions and millions of people. And, of course, it sets new serious tasks to us and journalistic society. I think hightechnologies, which change appearance of the whole information sphere and created a phenomenon of social networks, made topical the problem of objective coverage and adequate assessment of the information we receive. Therefore, we must find some balance of interests among subscribers of information in network media within the framework of traditional mass media and traditional agencies. First of all, we must understand definitely what information we need and how important for the official mass media to be a carrier of serious and reliable news. It is important to remember words of one of the famous philosophers: “He who knows does not speak. He who speaks does not know. Sometimes we do not notice this division. I think all new trends of social journalism, which appeared to be a result of globalization, need a serious scientific analysis too. We have to discuss it as well. There is a complex of humanitarian problems caused by sophisticatedtechnologies. If they vindicate their rights, we will be entitled to expect the study of this phenomenon and find legal aspects of relationship in this social journalism. I reiterate, our subject is very comprehensive. I am pleased that the forum organizers have invited high-end journalists who work in not only different countries but also in various fields of journalism. I believe opinion they will voice at the forum will enjoy the world journalism`s interest. I will make my speech on English, but first, let me say some words on Azeri. I am very happy to be here again, in beautifulBakucity and I would like to thank to President Ilham Aliyev and Mrs. Mehriban Aliyeva for the invitation. The main topic of my speech is moderntechnologies. But I will try to focus my talk a bit narrower so that I can then try to address with more concrete examples. In about 35 years, computing speed increased 1000-fold. Long-distance communication speed increased 1000-fold. Memory capacity increased 1000,000-fold. High-speed changes are likely to continue. Information is defined in many different ways.Oxforddictionary says one of its meanings is the shaping of the mind. As the informationtechnologies are increasing, the access and manipulation of information changes as well. Using this allows becoming powerful to do other things. Unprecedented advances in informationtechnology are leading humanity into uncharted waters. It is difficult to predict where all these things are leading us. Drastic changes are taking place in factories, industries, healthcare, biotechnologies, and military communication. They have all embraced informationtechnologies. Those fields, which did not embrace it, are being left in the dust. Nations, which do not want to be left beyond, they will need a core of well-educated professionals in informationtechnologies. Educating a selected group of university graduates to be competent in informationtechnologies application is one thing. Providing basic rudiments of informationtechnologies to general public is yet another thing. I am going to focus on the first one and give my examples. If you look at the internet, which is a backbone of information age, it is vital as electricity. If internet stops, industry, healthcare, military, cyber security will be badly affected. While we benefit from it, we are more vulnerable as well. I can provide one example; Sergey Ulasen was an engineer working for a small security company inBelarus. In June 2010, he discovered a small virus coming from a customer inIran. He found out how is virus is transmitted but could not figure out what this virus does. He sent his finding to Microsoft in theUnited States. Microsoft immediately announced a patch. After that patch virus will have difficulties in getting into Microsoft systems. Engineers of Symantec, which works for Microsoft security, normally understand what a virus does but it took a time for them to figure out this one. Normal virus is only 20 kb. This one, which is they called Stuxnet, 500 kb. The virus used two certificates, which were stolen from twoTaiwancomputer companies. With this fake ID they entered Microsoft territories around the world. It took months to figure this out. They found that this virus going to the computer does nothing. They sent messages to two places on Earth. One is inDenmark, the other one is inMalaysia. They are both football websites. Symantech engineers found that 38.000 infected machines in many countries sent messages to these websites in one week and 100,000 messages in two weeks. Four hundred of them are from theUnited Stateswhile 22,000 fromIran. They named this virus a Stuxnet. They also found out this looks in the computer for software of Siemens. This looks in the Siemens software for a very specific frequency converter. This is like a ping-pong attack. These frequency converters controlled the speed of motors that are run by Siemens. These converters are used in water treatment plants, factory automation, and transportation. They found that this virus increase rotation rate from 1064 to 1410 revolutions, make the machines work very fast and then drop it to normal speed and in the reading of the machine continue to show 1064. This process destroys the machines. These are used in centrifuges in nuclear plants. The International Atomic Energy Agency does not enter nuclear plants inIran. They have cameras outside buildings. They observed what comes in and out in those buildings. Normally, they expect 800 centrifuges to be replaced per year. Now there are more than 800 centrifuges replaced per month. What is going on? It turned out that Iranian nuclear activities were slowed down for a while. This is one single attack. It was found by mistake, because if Microsoft knew who was doing and what, maybe they would not have opened their mouth. For example,DeutscheTelecom reported they had more than 200,000 attacks on its systems alone in 2010. Clearly, informationtechnologies mean benefits but also vulnerability. If you do not get into informationtechnology, you will be left behind. If you get in, you will be vulnerable. It means we need effective shields but also highly skilled and trained staff in those localities. Informationtechnology continues to deliver great benefits for those who can manage it. Investment into human capital for informationtechnology has to be an explicit priority of governments. My position in things I do mostly in my university inAnkarais to set priorities for resource allocation for education. As we look into the future for modern technologies as to how much more equipment, resources we devoted to this or that. They are being shaped by what we perceive as coming to us. Modern technologies are taking us hopefully to a good destination if we know how to drive that car. Thank you very much. Dear participants of the Humanitarian Forum in Baku! Let me congratulate you on this occasion on behalf of myself and the board of the “Russia-Azerbaijan” Friendship Society, which supported this initiative from the outset and actively participated in organizing a number of forum sections. I hope members of our board will take an active part in the forum. Virtually, most of the presidium is present in the hall. Of course, the idea of the ​​humanitarian forum, which is underway inBaku, is extremely interesting and instructive, because it has united for the first time humanitarian practices andtechnologies. And this was already mentioned before the break in the speech of Viktor Antonovich Sadovnichiy. The forum unites the convergence of different fields of knowledge, including humanitarian and natural. We will discuss it later. It combines seemingly incompatible, the humanitarian, which is associated with a person and everything connected with the natural environment. And I can go on, because the values of culture are important areas of modern media in the age of information. The section I represent – I was told to participate in this section as a moderator together with my colleague, rector of the Baku Slavic University, Professor Kamal Abdullaev – on one hand, harmonically comes in this content, and at the same time, is very topical, which was mentioned in the speech of President Ilham Aliyev who dwelled on this aspect. Indeed, polyethnicity and multiculturalism are the traits of the mankind development – that I can easily prove as an historian – which go with civilizations during millennia. At the same time, polyethnicity and multiculturalism are the areas, which at the end of the 20th century and at the beginning of the 21st century do not only show extreme urgency, but also manifest themselves in various fields and demonstrate that many seemingly resolved issues emerge again. It means they prove to be in fact unresolved. Many humanitarian practices, including those inEurope, were not followed up, apparently, because they were trusted but had limited opportunities. Many practices and experience also accumulated both inAzerbaijan, the country hosting the forum, and theRussian Federation, with its enormous experience in multiethnic interaction between different cultures and different ethnic groups, are extremely important and needed. Because after all polyethnicity and multiculturalism are not synonymous. What possible is the existence of several cultures in one ethnic group and different views of cultures developing not only within the same ethnic group but also as part of the multi-ethnic sphere and so on. That is, these processes interact and affect each other, providing a new quality from this interaction. And the experience of the 20th century and early 21st century testifies it. So I think that the gradual solution, very careful deliberation of certain steps and referring to science and knowledge are possible here. Undoubtedly, the formation and deepening of this process, improvement of quality of education is the backbone that can generate the effective result and lead to success in interaction of people. The lack of education and illiteracy is a fertile ground for all manifestations that impede productive and high quality interaction of nations and continents. In this regard, education is a tool, which allows conceiving each other more, making all programs of tolerance more effective, creating medium for interaction among nations, which begins to function among people who study in one educational institution, have shared experience of interaction, common positive interaction prospects. In this respect, of course, such event as the humanitarian forum is a very important and effective platform. The section’s proceedings will see discussions on all the problems of multiculturalism in three directions. On the one hand, this is, of course, a multiculturalism of contemporary political practice. Here, we expect active involvement of experienced politicians, including the Presidents who have had experience in leading their countries at different stages of development in recent years. These are also both scientists, who deal with this problem and make recommendations, politicians who give recommendations on how to perfect oneself in a multicultural practice, high school workers, media workers and, of course, writers and representatives of culture. Another subsection will address specific problems of multiculturalism in the public opinion, which is essential for the implementation of the public policy. Because if these two areas are not in unity and interaction and are broken, there is no way the public policy can be carried out. This is because public policy is effective only when it is focused and based on what is happening in the public consciousness, and somehow influences the public consciousness in a positive way. And we also look forward to active participation of the media outlets from various countries, first of all, those who are represented in our section and, undoubtedly, the media fromAzerbaijanwhose capital is hosting the forum. We also hope writers will contribute to this cause by their works which affect the public consciousness. I did not mention all, but undoubtedly, it is obviously not a disciplinary problem, because solution of this problem is impossible without interaction of workers of science and culture, different fields of science and humanitarian knowledge. And finally, another subsection will be devoted to the problems of scientific inquiry into this area, debates existing in multiculturalism. As you know, there are different viewpoints on fates of this area in social sciences. They are completely opposite – from sheer acceptance to sheer rejection. As always, the truth lies somewhere in between but it is neither probably in the middle nor on extreme positions. No doubt, from the viewpoint of theories of cognition, this is also a problem of multiculturalism, because philosophical aspects of this area will also be discussed from the viewpoint of gnoseology. Here is a list of topics we believe to discuss tomorrow. And I hope that this will be a direct contribution to the development of the agenda. As you understand from out morning meeting, this is one of the key problems for organizers of the forum and for all those who generated the idea. This problem is one of the key issues for modern humanities and in contemporary humanitarian practice. Hence, it has its place in the first International Humanitarian Forum inBaku. Distinguished participants of the forum, Ladies and Gentlemen! First of all, like all my colleagues fromRussia, I would like to thank the leadership of Azerbaijan, all our Azerbaijani colleagues for the excellent organization of the forum, and for hospitality. Mr. Mehdiyev, Head of the Administration of the President of the Republic of Azerbaijan, is with us here today, and I would like to express my special thanks to him especially for providing us with the opportunity to participate in the forum. You know, I once read a phrase from outstanding Russian chemist Mendeleyev – this happened probably 40 years ago – which surprised me then. He said: “The science is necessary for the comfort of the human life.” I was shocked, because at that I worked an operator of calculating solver machines and was confident that the science brings absolutely different quality into our life. There is also another phrase which I love very much. Beautiful writer Ilia Ilf said: “People thought than when they learn to transmit their thought to distances a universal happiness will come.” And we have radio, but there is no happiness. The same can be said of market or planned economy. We thought that if we had planned economy or market economy and there would have not been hungry people. We used to live under planned economy, now we live under market economy, but we still have hungry people. I say this so that you understand why we are here today because fundamental problems of human life, the life of everyone who is present in this hall, cannot be solved just by developing science andtechnologies. It is impossible to solve these problems just developing an economic development model, social practice etc. Anyway, there are fundamental problems in our life which depend on nobody. The way we solve these problems affects the development of all social practices. Today all public structures and even scientifictechnological concepts insist that we must adapt to changes. And this is a very serious and fundamental issue, because the development of sciences and society with its crises, ups and downs sometimes causes anxiety. We live in a developing world. We know that the universe is rapidly developing, we live in a peculiar vacuum. We know that we are omnipotent, we have the Internet, we have lots of things. But we have less and less confidence in the future. The people of my generation, we have a communist past. I remember a Bulgarian play called “I promise you a bright past”. And we are from that promised past, and we knew that there are so-called conferences on interdisciplinary sciences. New sciences junction pave the way for emergence of new knowledge. The problem is that mathematicians within one field do not already understand each other because they are unusually specialized. I do not even mention physicists and chemists. And therefore, this one of the most serious problems the forum should exist for. From this point of view, this forum is very important for creating a platform where people will discuss some fundamental issues of human life in the context of incredibly rapid changes of situation. You know, there is nothing new, for example, tomorrow our platform will be dedicated to the problem of existence of traditional values in post-modern society, post-modern culture. Actually, the perversion of conceptions and opportunities, distortion of the meaning has always existed. What somebody wanted to say that the evil is good and good is evil existed when Assyrian-Babylonian myths were written. There are always those who claim that we live in a world where all conceptions are perverted. But we, the Soviet people, read Bulgakov and were surprised to know that Woland is a combination of evil and good and the perversion of all conceptions. Read Faust by Ghete, who wrote about it already. A human being always faces the temptation to say that black is white and that white is black, and there is always a force in him, which prompts him to do that. In Plato’s “Protagoras”, Socrates says that: “As merchants trading spoiled food sophist trading what they accept as right, and it is up to you to decide, what is useful for you or not”. The same can be applied to politicians, who trade with what meets their interests, and you, guys, choose what you like whether it is useful or not. This is why this platform must exist. Such platforms are very important because economists, writers, mathematicians, chemists and physicists come together very seldom to speak about why we live and we suffer. Probably, we`d better rejoice. Dear Forum participants, organization of the Baku International Humanitarian Forum under the patronage of the President of Azerbaijan Ilham Aliyev is estimable in the era when the world gets globalized, distances shorten, interactions among the nations intensify. I would like to express my deepest gratitude to President Ilham Aliyev on this occasion. At present, none of countries and nations can stay away from the global processes. President Ilham Aliyev`s initiative is praiseworthy. I think it is important that other heads of state also joined this initiative. The role of international organizations in defining common interests, improving welfare, protecting regional peace and stability is increasing in the 21st century and they create humanitarian standards for the countries. Our organization is the new structure, which has not even turned one year old yet. Our organization brings together Turkic-speaking states on the basis of shared culture and brotherhood. Four out of six Turkic speaking countries -Azerbaijan,Kazakhstan,KyrgyzstanandTurkey- are currently members of our organization. Our main goal is to strengthen cooperation, mutual trust, friendship and neighborhood relations among the member states, contribute to protection of peace in the region and world, promote effective regional and bilateral cooperation in political, trade, economic, cultural, educational, energy and other spheres. We want other two Turkic-speaking countriesUzbekistanandTurkmenistanto become members of our organization too. After their joining, the organization will include all Turkic-speaking states and it will let the organization to work at full capacity. Afterwards, our organization will cover large geographic area which means great economic cooperation space. The first summit of our organization will be held inAlmaty,Kazakhstanon 20-21 October this year with attendance of heads of state. A declaration of the summit is scheduled to include global processes and humanitarian issues. Since the main topic of the first summit is going to be economic cooperation, thus, it will be preceded by the first meeting of economy ministers of the member states slated for October13 inAstana. It will be the important event in terms of boosting economic development on the humanitarian basis. Moreover, the Business Council will also be established within our organization to promote development of cooperation between private sector and government. The first preparatory meeting of the Business Council was held inAnkaraon October 2. The Business Council will organize a business forum as part of the firstSummitwith participation of four member countries` businessmen. The Turkic-speaking countries have strategic partnership relations with neighboring states. Our organization places a great emphasis on relationship with neighboring countries and considers the good-neighborhood policy as one of its priorities. The topics of the “roundtables” of the Baku International Humanitarian Forum to be held on October 11 are keeping up with the reality. I will be also happy to participate in the “roundtable” on “Humanitarian aspects of economic development model”. The Cooperation Council of Turkic Speaking States plans to realize a number of projects. There projects also include the ones dealing with the humanitarian field. I want to state our organization’s readiness for all kinds of cooperation. In conclusion, I want to thank President of Azerbaijan Ilham Aliyev for this initiative and express hope that the Forum will be regular with contributions of a number of heads of state. You know I`m kind of ashamed to speak after such a brilliant speech by Mikhail Efimovich Shvydkoy, because we have to go to the sea to enjoy the beauties of life, to enjoy every day of ours. However, we gathered here to solve certain tasks and I want to say that if one looks at what is going on it becomes obvious that a civilizational model of development, which has been used so far, has already finished. It`s another thing that it crumbles, so to speak, in convulsion. It is hard, but, in fact, it has happened. If someone thinks and looks ahead, it becomes evident for him. I would like to remind you that the “roundtable” which I was tasked to preside is entitled “Convergence of sciences andtechnologies”. Convergence is a very complicated and inclusive word. If you remember the interpenetration of capitalism and socialism was called convergence, i.e. a socialist collapse, which gradually transforms into capitalism. The convergence is a mathematical term. This term means merger, interpenetration, i.e. certain communities become united. And this is convergence. So, I would like to remind you the following. Everyone is talking about crisis. We all are discussing what is going on with securities, real estate etc. In fact, we had smart predecessors. There wasFrenchwriter Vercors who wrote a brilliant novel called “The silence of the sea”. This novel is about love, the occupation ofFrance,NormandybyGermany. It is a very interesting novel. So, I was interested and found his another book – this happened approximately 45-50 years ago – called “The Quota, or the Supporters of Abundance”. This book clearly says that after the World War II, the civilizational part – “golden billion” of humanity launched a new economic system: production and consumption, that is, a resource destruction machine was turned on. And 50 years ago, it was said that this machine would exist endlessly if it served the “golden billion”. As soon as one country such as, for example,India(Chinawas not even mentioned), embarks on the path of development in line with this model, all resources of the world won`t be enough to supply it alone. We witness how it happened, when China and India, half of the world`s population, definitely follow this model of annihilation of resources. For many decades we have said that the Earth has everything. But, in reality, we witness a resource collapse. In fact, it is obvious what will happen not in 10 years, but probably in 30 or 40 years. And now the question: we either follow the model we live today – in this case we have to return to the primitive way of life with cattle-breeding, fire, farming, etc. – or find some other way of development. You know there is a brilliant saying in the theory of noosphere, actively developed by academician Vernadsky: “the biosphere evolutionarily turns into a qualitatively new state of the new sphere thanks to the scientific work of a social individual”. His idea of “society” unites nature and scientific activity of the institute. In the theory of Vernadsky, who died in 1943, technosphere, which was part of the noosphere, was assessed, but its influence was extremely small. But today technosphere is one of the vital elements in our life, and it is developed antagonistically to nature. This is what we are going to discuss during our “roundtable”. Today, the situation is obvious. Convergence means the following: let us assume that the deliberate science was established at the time ofNewton, three hundred years ago. The human looked at the world and indivisible nature, failed to comprehend it and then idolized. Afterwards, from the single indivisible nature we started take small segments, which we could understand. This is the way disciplines emerged. Over a few hundreds of years of development, we have built a narrow system of science and education. Indeed, we reached a deadlock, for example, a cosmological deadlock. Our ideas of a standard model, our experimental observations are in total harmony. But, at the same time, they diverge greatly. We have got into the depth of the surrounding world, we lost our common target. Humanity today stands with box of puzzles in hands. These are puzzles of various disciplines. Depending on how we divided this single convergent indivisible nature into these puzzles, narrow specialties, we must today begin, we can begin and have already begun the inverse process of synthesis. We are on our way to collect these puzzles to restore the whole picture of the world. And a socio-humanitarian component becomes vital here because we need a new philosophy, we need a new ideology of development. It is a key issue. And these issues will be discussed. I would like to add that we are going to talk about establishment of the world`s first department of convergent NBIC (nanobioinfocognitive)technologies at the Kurchatov Institute. We set up the world`s first department in the Moscow Institute of Physics and Technology, we created the center of convergent sciences andtechnologies in the Kurchatov Institute, which has no analogues in the world. I wish the forum successes. I am grateful to our Azerbaijani colleagues for the hospitality and the opportunity to be here. I must say it is very difficult to speak after the two previous speakers. First of all thank you very much for your invitation. Our “round table” will be devoted to biology and ethics. Very few think about the fact that the last ten years saw absolutely unbelievable things.We have learned to read genetic texts. It means that genetic information, which was previously an absolute prerogative of the creator and is inside each of us, all living things, have become now accessible, and we have learned to read it. Moreover, we have learned to manipulate it after learning to read it. Previously, we thought that an engineer is the one who can build an iron bridge or make any wooden thing. And now, after reading genetic information we can create something new of it and become engineers of genetic information. It is unbelievable and it all has occurred over the last ten years. Probably, I can tell about figures since today it was said about computer science, existing figures. I would try to give you some analogy. A small microbe, which surrounds us, contains two and half a million letters. It equals to the number of letters in the “War and Peace” book. Genetic information, which is inside every person sitting in this hall would be the whole library of Yasnaya Polyana. For those who do not know – Yasnaya Polyana is a place where Tolstoy used to live. The whole library is the number of letters, which exists in each of us. If you replace a letter in the “War and Peace” and get “War and Death”, it would be terrible. If you replace one letter in the genetic information it will be an illness of a human. Now, let us talk about figures. All books which have been created by the mankind, all manuscripts are some kind of genetic information of 20 thousand people. If you take the genetic information of 20 thousand people it will be the number of the information which has been created by mankind. Imagine the information work which expects us. The genetic information of a person cost $4 billion in 2001 when it was made. In a year or two, it will cost 1000 dollars to make one genome of a person. It is a simple test in a clinic. This is what expects us after several years. Pay attention, writers, lawyers, politicians who sit here discuss copyright, ownership of each letter and each text in a book. And what you will tell about the copyrights that you have. You understand that you can be hired or denied a job with the knowledge of the human genome. You can be insured or not. Therefore, our “round table” will be devoted to ethical problems. Being able to manipulate genetic information, we can create fundamentally new agriculture. Everyone could see a desert today when flying up toBaku. This desert can become a totally green blooming garden if we create essentially new plants. We will insert there the genetic information which will allow these plants blooming in drought, heat and so on. Mankind`s concerns about cloning were mentioned in today’s remarks of head of the Presidential Administration of the Russian Federation. There are countries which recognize cloning, and countries which don’t recognize it. We are facing a problem of famine, overpopulation on Earth. This is the only thing the mankind is facing. Finally, it is about creation of organisms, organs and stem sells. It is associated with the fact that we can be engaged in fundamentally new medicine. I encourage you to think that it is not a science fiction, and this is what was done yesterday, being done today and will be done tomorrow. These are the problems which will be discussed. And what we can do and cannot do? This is about what legislative acts politicians should adopt but depending on what human race needs, not on their desire to be elected for the next term. Many say that these or other things are infinitely dangerous, without having any grounds for that. Even though it is dangerous not to do it. Because the mankind, as Michael Valentinovich Kovalchuk said, stands on the brink of some things which can be irreversible. Our “round table” will be attended by several outstanding people. The fact of the matter is that the organizing committee invited Baron Van Montagu who created all technology connected with getting transgenic plants. He is in this hall among us to discuss it tomorrow. Professor Young is the person who created the world`s largest sequencing center in the world to read genetic information. This center has more toolkits and possibilities than allUnited Stateshave. It is one of the most interesting experiments being done inChina. At last, I want to say that biotechnology is the most successful business in the world. It is Steve Borrell who heads the venture company with the turnover of about a billion dollars and created three or four largest biotechnology companies. And, at last, our two outstanding Russian researchers. It is academician Petrov who created immunology inRussia. Immunology is a science which helps to understand how a person and animals protect themselves. And finally, our outstanding cardiovascular surgeon, Renat Akchurin. He is the person who operated Boris Nikolayevich Yeltsin. He will tell us about some ethical problems and what a surgeon feels when a critical situation comes in the country and he makes a decision on the life and death of the President of the country. That is what we will be discussing tomorrow at our “round table”. And there also will be many participants including the president of theEstonianAcademy, some outstanding Azerbaijani scientists. This is why we invite not biologists but people who are engaged in and curious about it.